Honest Puck is the latest in a long line of collaborations between actor/director James Scott and playwright/producer Elizabeth Avery Scott. Having founded Canberra Academy of Dramatic Art in 2009, James and Elizabeth have made a significant impact on the theatrical landscape in Canberra, with over 400 Canberrans participating in drama classes every week. Having seen an increasing number of students graduate from their professional actor training programs, James and Elizabeth felt the need to establish a company which would not only allow them a vehicle to explore their own creative talents with their peers, but which would also provide opportunity for upcoming actors to launch their careers. 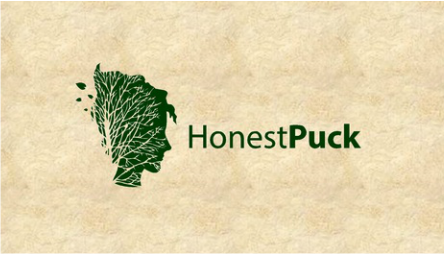 Honest Puck does not receive any funding from government funding bodies. Honest Puck is a professional theatre company based in Canberra, Australia. Featuring the finest local and imported talent in its work, Honest Puck seeks to create profound theatrical experiences for audiences and artists. Some words that have special meaning for Honest Puck: sustainable, collaborative, provocative, and stirring. Why? Honest Puck wants to create theatre that contributes to the artistic eco-system in a sustainable and environmentally friendly way, respecting its artists, and reaching out to the wider community in a powerful way. The dream, he assures them, will pass - theatre's not real, after all! Next he's game enough to ask for applause ("Give me your hands") - what every actor wants! Far from putting our own audiences to sleep, Honest Puck aims to tell meaningful stories that will stay with viewers for a long time to come.